For me, one thing that says summer has come to Sweden is when the swallows have arrived. This haven't happened yet. But while we're waiting, here is a swallow from Fabergé! It was commissioned by King Edward VII in 1907, as part of the Sandringham Commission. 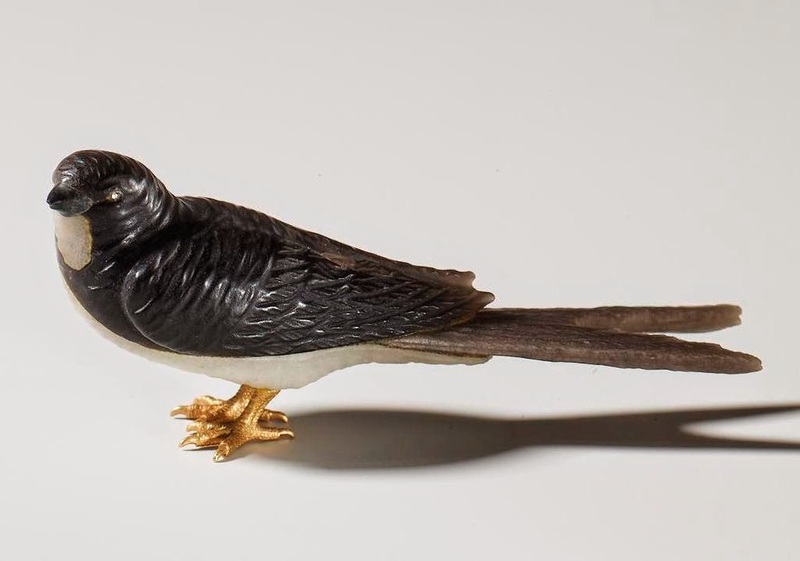 This very life-like little bird is carved from obsidian and white quartzite. It has eyes of rose-cut diamonds, and feet made of gold. The size of the swallow is 1'' x 2.5'' x 0.6'' (2.5 x 6.4 x 1.6 cm), and it is part of the Royal Collection.